Dell Inspiron 15 7567 (Intel Core i5 Version) is now available in Pakistan! While manufacturing a gaming system, companies have to pay special attention to creating a design that would catch the users’ eyes. A gaming system has to look the part before anything else, Dell has never let its users down when it comes to creating an eye-catching curvy design. Dell Inspiron 7567 Core i5 also boasts a design that looks simple but has enough curves that you can differentiate between an ordinary laptop and a gaming system. The color is matte black, which gives it a rather elegant and somewhat rugged look. 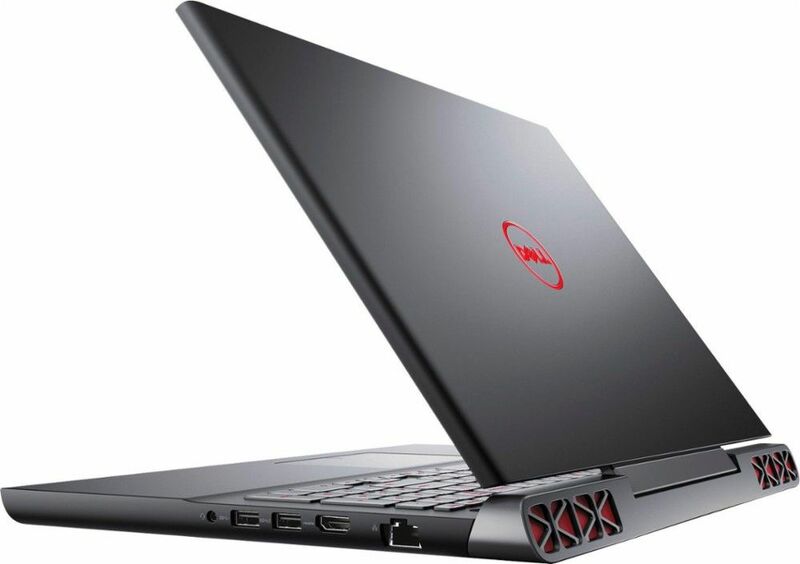 On the back of the lid, there’s is the standard Red backlit logo of Dell, coming down at the back you can see fan ducts, in red, which gives the notebook a powerful look, and also show that with such fans the notebook must be packing some strong hardware. 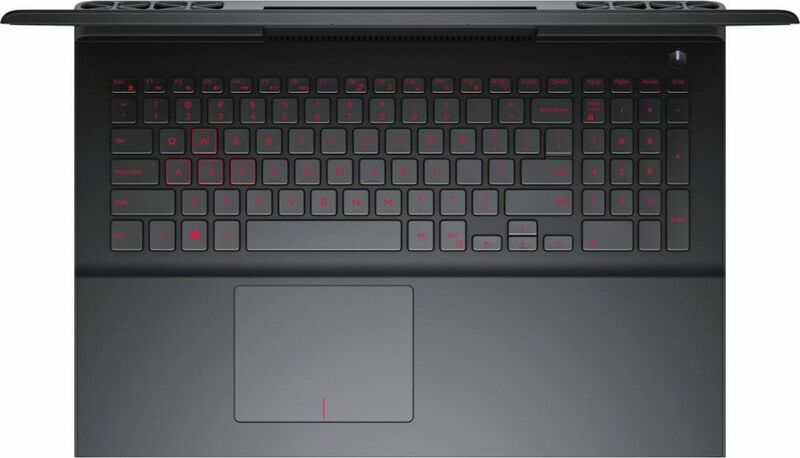 The Red color continues at the front border in shape of a strip, previously Dell used to have red strips along the touchpad as well as above the keypad, but in this model, dell has gotten rid of those and you’ll get a rather simpler design. 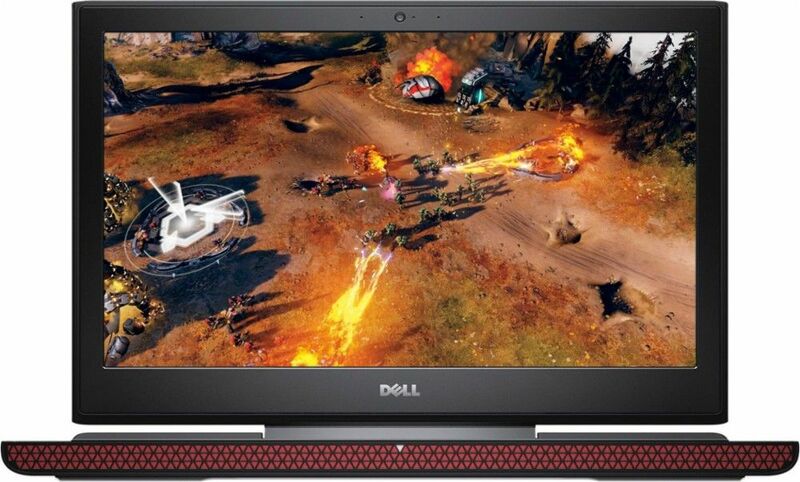 The latest Dell Inspiron 15 7567 has an Intel Core i5 (7th Generation) Quadcore processor which makes it easy to play your favorite Games without heating up the system and also the smart core management doesn’t let the system get slowed down. You can rely on the fast i5 Processor to let you play almost all of the latest games without any noticeable difference in performance or lags etc. 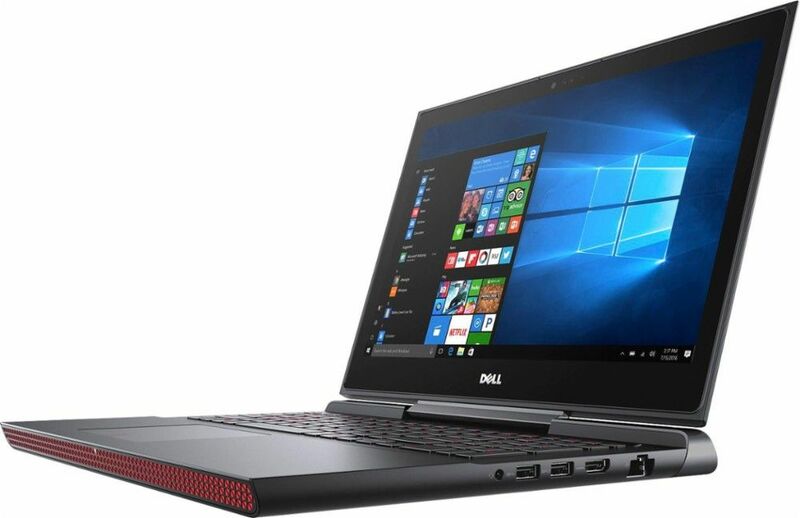 Dell Inspiron 7567 (i5 version) comes equipped with 8GB DDR4 RAM, enough to let you enjoy your games and other work related software in peace if you wish you can also choose to upgrade the memory to 16GB because only a single slot is used with an 8GB memory stick. With additional 256GB SSD, files open very quickly, and software run smoothly. When it comes to gaming, Nvidia is a renowned player in GPU manufacturing. They have always delivered the powerful Graphic card, specially designed to deal with heavy gaming requirements and heavy stress. With their dedicated cooling systems, and beastly power Nvidia remains the undisputed king in the area of GPU manufacturing. 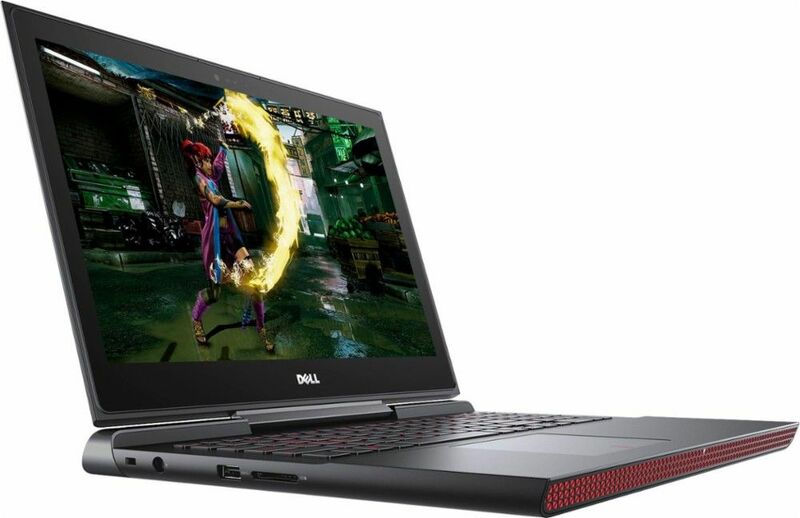 Dell Inspiron 7567 is also backed by a powerful GPU from Nvidia, particularly a Nvidia GeForce GTX 1050Ti is powering up the system. Since its release GeForce GTX has been known to be a high quality and powerful GPU, you will feel its power once you experience it, you can play games with high graphic settings and you will be surprised by the amount of detail, that too without any lag, GeForce GTX 1050Ti can show, it also doesn’t let the CPU get stressed so your system always remains cool even while playing heavy games. For a gaming PC or Laptop - keypad plays a rather important part if it is too noisy it might become a distraction for the gamer at crucial moments, but you don’t have to worry about this if you’re planning on buying the new Dell Inspiron 15 7567, because it features extra smooth and silent keys that are easy to type on as well as won’t be hurting your fingers after playing games for extended periods of time. The keypad also has a full number pad, the whole rubbery build makes the keypad as well as the touchpad extra comfortable to work on. The Dell Inspiron 15 7567 i5 is available at 1000 dollars. A significantly lower amount when we compare it with other gaming systems in the market. You should go for it if you like to have a system that has an edgy yet sophisticated design and has enough power in its hardware to run the latest, heavy games- smoothly. If you’re interested in purchasing this gaming laptop (7567) then just click on the Buy Now button and place your order now. Computer Point offers the lowest price of Dell Inspiron 15 7567 (Core i5) in Pakistan along with free and fast delivery service.